Mobile apps are flowing in the app stores and if you search you will get hundreds of apps for your one requirement. However, not every app gets successful and touches the millions on its number of downloads scoreboard. Competing against millions of apps in the app store requires you take care of your app from every perspective. Maybe you have an unique idea, your app can solve the most common users' problem, and it is all great. But, what if the users downloaded it but not getting exactly what they want, or your app is lacking somewhere. The user testing is one of the most crucial aspects of the mobile app development process. With the help of adequate testing, you can craft your app into a product that will stay in the user’s heart. Honestly, during the development, not everything goes we planned in the prototype. So, the options, functionality or maybe the design could diverge from the original plan, and this requires thoroughly user-oriented testing. I don't want to demoralize you, but if you are still stuck to the regulator user testing process for your app by just assigning a tester and get the bugs fixed, then don't expect your app to be a great success. Getting the bugs and issues fixed is just making the app perfect from its functionality point of you. 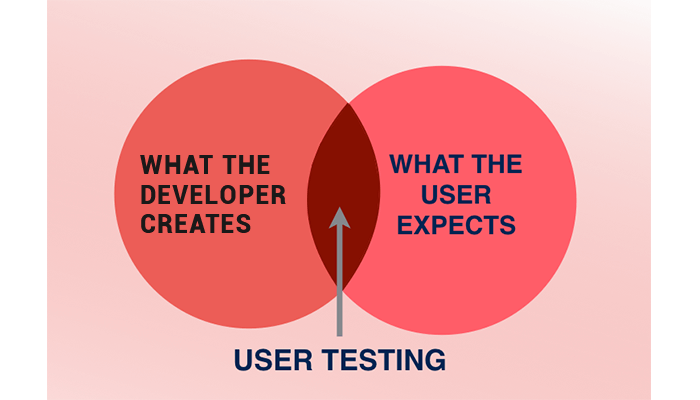 But, it is the user who will be going judge the fate of your app and business, so you need to more user-centric with your testing. With in-depth research and conducted survey, we have prepared this guide for you to perform user testing. With the help of this approach, you will be able to cover the testing from all user perspective and make your app flawless. 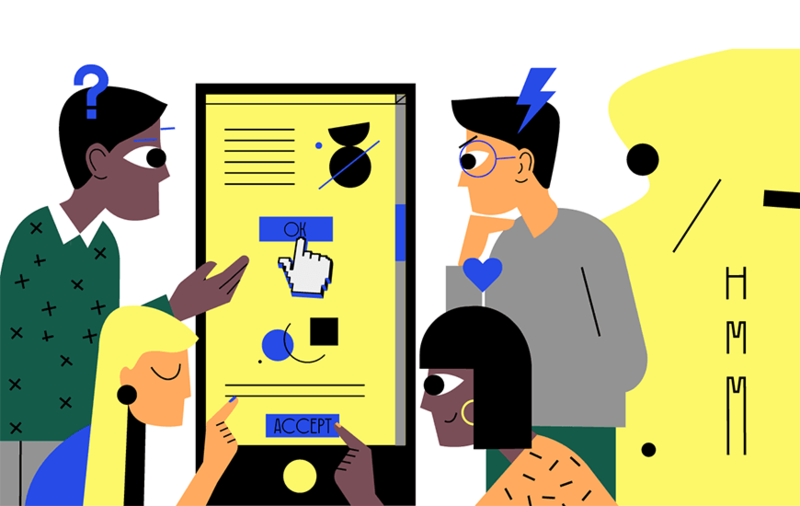 The user testing process involves the steps for determining the user goals, planning test, recruiting testers to fix all the issues, and much more. 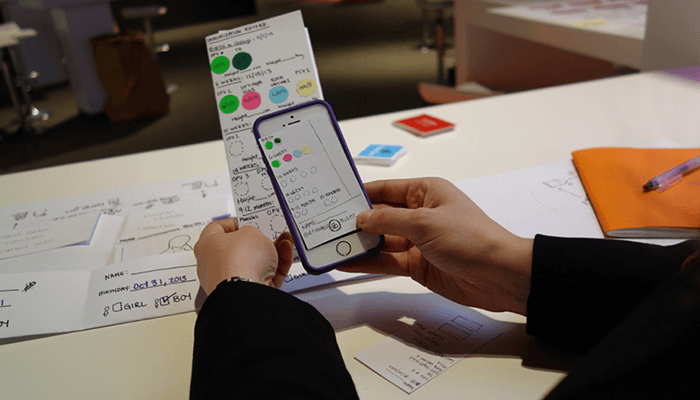 Why you need the user testing of your app? There is an old saying goes by in the testers community, “You are not a user,” yes you are not the user of your app, neither developer or designer. No matter how hard you try and how much effort you put by going through your app, you will never see the things like a real user do. You have a different mindset for them as you have created it you what's in the back of UI you see it may affect the way you test the app. However, real users just rely on the service and functionality to get whatever they want. For example, you have a perfectly working app and it is free from bugs and fixes, but you doesn't have Instagram or Facebook as a sign-in option that most of the user prefer. The requirement can be understood only from the user point of view, that’s why they ‘You are not a user”. Here we talk about the overall testing process, and you need to get yourself in the ignition mode with testing aim. To initiate the process first you must have a planning structure for the user testing, that means you should know what you are going to do from the beginning to end. The user testing could be a complex task if you just jump into it without any preparation then you will end up making a mess without any effective result. Take a pen and start writing the basic concept of your app, service you are offering and what the user testing should give you. Besides, you must build a rough layout of the user testing process using the above-given table. Now, the beginning of the process brings to the very first factor of the testing that user testing goals for your app. Most of us believe that testing is the process where you just mess with the app and try spotting the weak points or bugs. But, in the actual way you need to have a certain goal for the testing process. The testing goals mentioned by you will guide the entire process and will be assigned the tasks to the participants. Besides, with the help of precise testing goals, it will be easier for you make many decisions like testing, environment, number participants and other factors. The user testing goals depend on the lifecycle of your mobile app, and the goals could change with reference to different stage your app is being is going through. Testing of the app isn't restrained under a particular time like when your app is ready to use, you need to perform the user testing at every stage. The testing could be done prior to mobile app development, at this point you have the layout of your app, app flow and everything except the actual physical app. In this pre-development testing, you can examine the idea, service and many things concerning with the discovery and exploration. During this user testing period, you need to find out about the targeted users and more information related to them. Try to figure out what the targeted users need, which apps they are already using, what causes them inconvenience and more. You can go through your competitor’s app in order to note down what they are lacking, and you can leverage it. The user testing can also be done during the app development when your app is in the making. The testing goals for you during the time of development focuses on validation and evaluation of the app. During this testing period you need to go through the app’s functionality and features to known either they meet the user's expectation or not. You can take help of the early version, beta version and mockups of the app to experience the core functionality of the app to how it is reacting. Now, your app is completed, and you pushed it to the app store successfully that doesn't mean you don't need testing anymore. You need to continue the testing of the app after launching the app in order to know how you can evolve your app for the users. Post-launch user testing goals will include finding the issues and points where the app is being unable to please the user. You need to be in direct contact with the user to know what you can do improve the app. This user testing period will help you in the making your app better with time, so the users keep using your app with higher engagement. Now you have testing goals with you depending upon the lifecycle of your app. 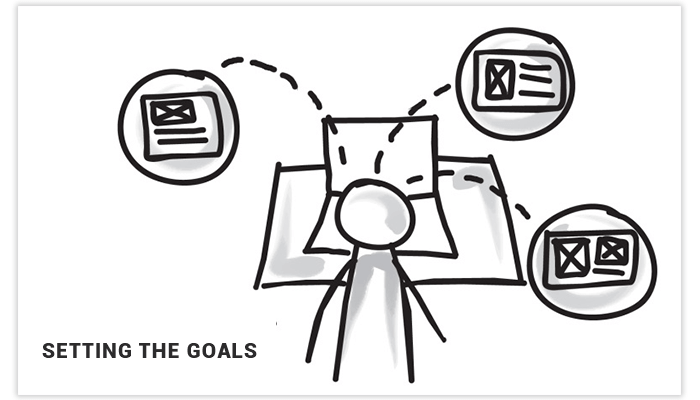 It is time to draw a proper plan for the user testing so you can carry out the whole process. As I have already told you that,’You are not a user’ so you need people who can test your app as a genuine user. You can hire people who will act as an active tester and will go through your app. You have two options here; one is the remote testing and the other in-person app testing. The in-person app user testing and remote testing both have advantages and disadvantages..
In-person testing- In this method, you hire a person or people that work with you in order to uncover the usability issues. With in-person testing, you will be able to experience the user reaction and actions carefully. This method of testing allows you to create a real connection with the users and you can also read the their body language to know how they are responding to the app. Watching closely instead of video conference or any other medium makes it easy to know when you should ask the user question or when to keep them using it. Remote testing- This type of user testing is ideal for the app owner with the budget issue. The testers won't be charging much as they don't have pressure for going somewhere to test the app especially. Besides, the app testing is perfect for the unmoderated user testing and gives excellent results for tighter frameworks. Most of the people go with remote testing due to the limited investment and other benefits. So, if you go with this user testing method too, then you have another decision to make. We are discussing this part because you have decided to go with the remote testing method for your app. Now, you have two options either you can choose the moderated sessions or Unmoderated sessions. Both the types of sessions have their cons and pros depending upon your need. Moderated sessions allow you to interact with users in real time and collect the information directly. The best part about the moderated session is that you can ask the question from users over their reaction or follow up the question with the curious investigation. However, the moderated session comes with the disadvantage of putting the user under pressure. The user may feel uncomfortable on someone looking very seriously while using the app that could lead to not so much candid reactions. Unmoderated testing sessions free you from the risk of putting the user in pressure to get a better result. Besides you can test the app in a specific environment or situations, require to know the user reaction. However, with the unmoderated session you won't be able to track the real-time user’s reaction and read their body language. Hiring the user testing participants is one of the most important aspects of the usability testing. If you have recruited a wrong participant or the tester that is not suitable for your app then the whole testing process will be for nothing, you will get the wrong results. You need to make sure that you invite the most suitable participants to test your app. But, how will you know that who is the right person for the testing? The answer is quite simple you need to find someone from your targeted audience. While selecting the participants, you can consider many factors that will help you in hiring the best one. But, the demographics and behavior are the most significant above all. You should be minimizing your search by looking for the users having the same behavior as your targeted users. This means the people who have the requirements that your app fulfills. The participants must have used an app similar to yours or one of your competitor’s app. With this, the participant has already aware of the things that app should offer and how to effectively engage with it while testing it. In case your app doesn't have any direct competitor then seek for the people interested or involved in the activities similar to your app’s functionalities. 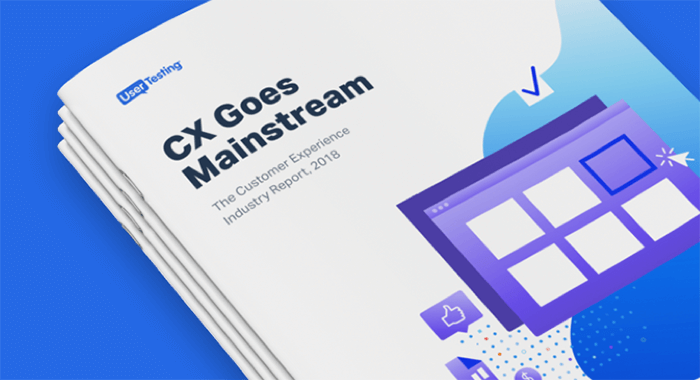 Under the behavior factor, you can acquire the participants that already have prior information about the service you are offering to give you better user testing results. Now, coming to demographic factor for selecting the participants of your app testing I would recommend to put it on the back seat. The selecting factors like gender, age group, location, and special filters would be important for you. But, you can secondly impose these selecting criteria after extracting the participants on behavior basis. This will provide you the best results on the user testing process. Moreover, the demographic is required for the complicated apps that need its users to have prior knowledge of anything. How many participants should you hire? The number of participants depends upon the complexity and user testing goals of your app. According to the industry experts, you should hire 5-7 participants for the user testing. However, many companies like Nielsen Norman Group suggest that 5 participants are enough for the user testing. But, we believe that you must have two more testers for covering all grounds under testing. Once you have the testers ready for testing you should have a better idea to divide the task among them depending upon their characteristics and knowledge. This will help you in getting the best result and the completion of the user testing process in a limited time. How to recruit the participants? Now, comes the recruiting process where you actually hire the participants for successfully performing user testing. Here you have two options either you can go for the direct interviews by asking people over social media or different sources. The other is using the tools like User Interviews, and this one is most suitable for the remote testings. The tool is excellent and very easy for the app owners to hire the participants quickly. User Interview let you search the participants by adding specific demographic and additional conditions in your search. Once post the requirement the people will start reaching out with their unique profiles. Afterward, they have to complete a survey prepared according to the requirement. The survey result will help you in filtering the applications and selecting the suitable ones. Once you have the profiles of the interested ones, you can form the desirable team of participants for user testing. The tool takes 3-5 days for recruiting the best participants for you. Besides, it will cost you $20 per participant plus the incentives you wish to provide. The investment is lower than what the professional recruiting firms specialized in hiring the user/testers will cost you. Scheduling the different user testing sessions with participants especially with unmoderated testing is quite hectic and confusing. In order to carry out the whole user testing process more effectively, you need a scheduling tool like Calendly. The tool help in managing all the sessions in accordance with the available time from you and participants both. With the help of Calendly, you can skip the headache and confusion in making a sessions schedule with every participant. The tool automatically asks every participant to choose one date from your available time. After one participant chooses the time for the session, the tool makes that slot unavailable for others. This eliminates the need to keep a check on the user testing sessions date and save them for overlapping. The tool like Calendly takes all the work in its hands to schedule the sessions especially while dealing with a large number of testers. With the addition of tool, you get one less issue to worry about during the user testing. The tool is easy to use; however, the initial setup could give you a hard time. Once you install the Calendly all you need to is sync your Google calendar with the tool. The tool will fetch all of your meeting and details from Google Calendar. Then you need to create a testing event in the tool by giving mandatory details. Besides, you are required to provide the duration of testing sessions along the number of sessions you want. You need to be prepared for the testing sessions, there are some things that you need get ready before heading to the user testing sessions. You must have a testing script, and planned model on how you want to analyze the whole session. Apart from the spontaneous questions, you can prepare the list of questions you want to ask from the users. Besides, you need to mention the task you want the participants to do while user testing. Prepare a draft for the testers to let them know how they should o through the whole testing by using their testing roles. You should define the part of the app you want a specific user to go through. Along with this, you can also make a list of metrics that you might find useful while observing the sessions. For example, for how long the user interacted with app uninterruptedly, how many questions they asked, for how long they stuck at one issue and how smooth the process is looking. You can also prepare a survey consisting of the common question for all the participants that they should answer after the session. You could ask the users to rate the app on the basis of different factors including speed, convenience, flow, and functionality. This is the part where you can prepare the additional observing questions for the user testing. To get the best results and reaction from the users, you need to be fully prepared. Add the questions, follow up question on everything you think could help in improving the app. Never let anything for interpretation, you need to know everything from the participants regarding the app. Now, you have almost prepared everything for the user testing sessions, but why I said ‘almost’? because there is something important still left. The precise user testing results can only be achieved in a perfect user testing environment. You need to prepare an ideal testing environment so the participants can totally be immersed in the testing. Both remote and in-person testing has different requirements for the ideal testing environments. For perfect in-person testing, you need to have a place that is suitable for the testers and keep away all the distractions. There should be no visual distraction, loud noises, and any unauthorized interruption. Besides, you also need to make sure that in the room there are minimum people present with the testers, so he/she doesn't feel any pressure or feel nervous. For the in-person testing with the participants in a conference room you need to make sure that there is, and there should be only an observer and a note taker with the participants in the room. Try to keep the presence of the people as minimum as possible. Your first priority is to make sure that the participant is comfortable and not distracted while testing the app. If you are the one who is observing then make sure you are relaxed too and your attention is uncompromised. When going for the remote-testing, you must have a right set of tools that can be used as a reliable source. Before you head for the first session you must be familiar with the tools and have it on your tips. If you don't have enough knowledge about the tool, you may get confused in between the session that could mess up the things there. Besides, you should select the tool that is not only easy to use for you, but the participants can interact with it easily. This will save you from confusion and wastage of time and help you acquiring good results with useful insights and user testing outputs. During the sessions, the technical issues or any errors is the last thing you want that could ruin the whole session. Research before choosing tools to get the most friendly ones. The other factor that you need to take care of is the casting tool that will help in watching the user’s phone. You can use the variety of tools that can cast the user’s Android-iOS device while testing your app. Airserver and Vysor are the mostly used tools to cast the user’s screen during sessions. The tool enables you to watch and even record the phone’s screen to see every action that the user makes. With the help of these tools, you can easily watch the screen of the user on your laptop without even disturbing the participants. The video also gets recorded so you can watch it later for evaluating the further points and examining the user’s actions. We personally recommend Airserver over Vysor, as the latter is less reliable when it's come to quality experience. There is another tool if you have a broader budget named, Screenflow that not only records the screen but the user’s reaction also. With the help of this tool, you can have the actions and reaction of the users as well. The tool records the video in great quality so you can spot any specific user reaction if you missed it during the live session. Once the toll records the video, you can edit it easily and convert the file into any convenient format like MP4. Besides, it is straightforward to transfer the video to another external hard drive for sharing the video with others. For remote user testing, you should have a robust tool that could bear the distance issue and still perform better. Lookback is one most effective tool for the remote testing sessions. The tool built a stable and reliable connection between the moderator and the participants. Lookback streams and records the user screen during the user testing sessions, so if any of the other members form your team or stakeholder wants to see the live session, that won’t be a problem. Besides, the tool is easy to set up and use all you need is little knowledge for installing software. Lookback is commonly used in the testing process, so most of the participants are already familiar with the tool. The whole testing process is a bit longer and you had a long way till here, so it is possible that there are some weak points or any flaw. So, it necessary that you should run a test-round of the testing sessions. Get all the things ready, set up the environment and all the tools with your testing script. Perform the session, by yourself, go through a small session to know that everything is perfectly tuned. During the test run, you will be able to spot any issue with tool or environment so that can be fixed on time and you actual session won't get affected by that issue. The prior-testing session is essential to make sure that you won't face any problem during the real session. Under this practice session, you uncover some of the off-track problems like a distraction in the conference room, unusual noise or anything. So, you will be able to sort out all the problem in advance without hampering the real user testing session. Once you are satisfied with all the testing preparation and all the sessions are scheduled it's time for the show. Get all your participants ready for their respective assigned time for the sessions. Take precautions and start making the arrangements about half an hour prior to the session beginning time so any unexpected issue can be resolved within time. 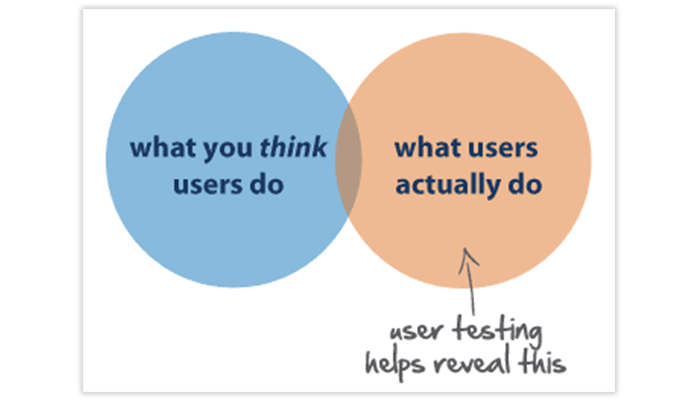 Now, kick off the user testing session be focused on the user without making him/her uncomfortable. Make sure to work according to the plan, keep noting all the pre-decided metrics and get all your scripted question. ‘Now, you have all the result from different sessions, and it will take you a significant amount of time to work on them. Take them and start analyzing them, watch the video while reading the user’s answer to your questions. If you want you can make a team to examine all the results to get the job done in a short period of time. Once you are done with evaluating all the session, ist time to work on the issues and sort them in your app.